Mountains tower above the plains and dominate the skyline. Critical to life – they fill our rivers, sway the weather, and provide sanctuary to incredibly diverse wildlife. They are as beautiful as they are dangerous – and for a brave few, they are the source of incredible adventure. Follow Australian Olympic gold medalist Torah Bright, as she journeys through the great American Cordillera, the world’s longest chain of mountain ranges extending from Antarctica all the way to Alaska. 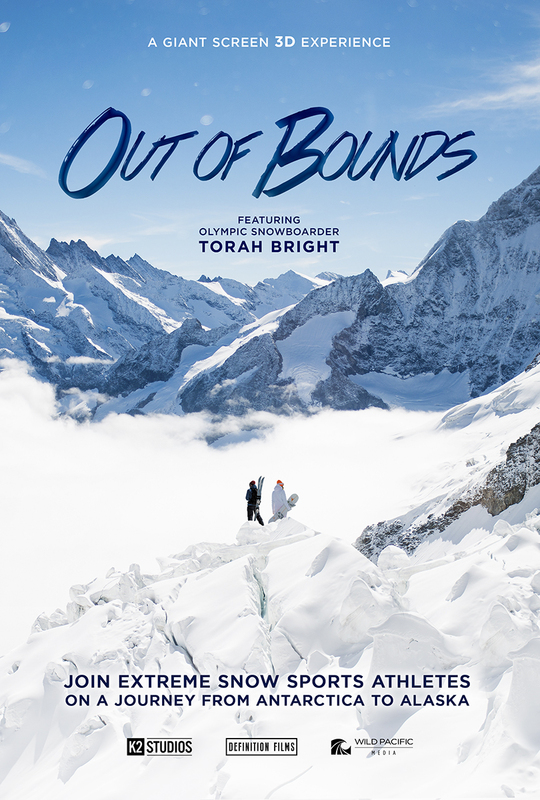 Along the journey, Torah will encounter world-class snow athletes, scientists and environmentalists who all seek a deeper understanding of the mountains that inspire them. From glaciated valleys to icy tundras, we’ll venture through the mountain’s most awe-inspiring vistas. We’ll discover the crucial role mountains play in our ecosystem and every day life, while witnessing the most spectacular snowboard action ever brought to the giant screen!